When we go to a museum, we marvel at the art we see displayed there. It fills our hearts with a sense of amazement. ‘How creative was the artist who created this piece we wonder. Then, a little while down the line, we are hit with a steady jolt of reality, when we spot the same art on a random site. Used without credit to the artist and absolutely out of context to the original intent. The art work has been copied via a digital format. With time, its creator shall miss all credit to it. This also means, the creator gets no profits from their creation. It shall forever be remembered and used as another random creation. Can you just imagine if Vincent Van Gogh, the creator of the iconic ‘The Starry Night’ didn’t get credit for it? The surreal piece of art would probably be lost in time. The inspiration it provides would forever be denied. Credit the artists. They all have potential to be the next Van Gogh or Picasso. This artwork also inspired Don McLean to write the song Vincent which features all of Van Gogh’s works. Blockchain technology has the potential to topple the way every industry manages its information and data. It is not only restricted to financial services. This technology when merged with art and all data of prose/poetry on to its nodes or blocks, brings about a path where registration and acknowledgement of your data or artwork belongs to you and you alone. As opposite as Yin and Yang, the tango of the two, is benefitting industries and creators alike. ‘Ownership’ and ‘Authorship’ are no longer mere terms used by a range of companies. With the counterfeit market booming, it has become compulsory for artists and writers alike to claim their work as their own. They are now considering Blockchain Technology for the same. It’s quite similar to Mark Twain quoting, “I have never let my schooling interfere with my education.” Now can you imagine not knowing who said this quote and how you would judge this orator? That’s exactly why we need to credit all creative and original work or art. There are several platforms where we can load our data and get it registered. With Ascribe, all you need to upload your work online, is register it with their API (Application Programming Interface) Once a piece is registered in the blockchain upon creation, the number of editions is specified. Each edition is only registered on the blockchain right before any ownership action (transfer, consign, loan) needs to be performed. For consignment purposes, the right to sell the piece can be transferred to a consignee on your behalf. This entire transaction is then recorded on to the Blockchain. A decentralized platform on which one can prove ownership of certain data without needing a central authority. It certifies all data onto a Blockchain. When proof of a document is uploaded and later re-uploaded, the system will only recognize it, if it is completely and fully the same document. The slightest change and the blockchain shall recognize it is as different, displaying the security error and that certified data can’t be changed or altered or tampered with. Heralding themselves as leaders in Blockchain based data certification, Stampery does win the kudos for bringing unlimited data anchoring on to this technology. They implement the use of unique hashes (Cryptographic identifiers) in order not to reveal original data. Verification of cryptographic proofs are done on a secure M2M (Machine 2 Machine) in which IoT already exists. There are many reasons due to which technology and art have remained at a distance in the past. 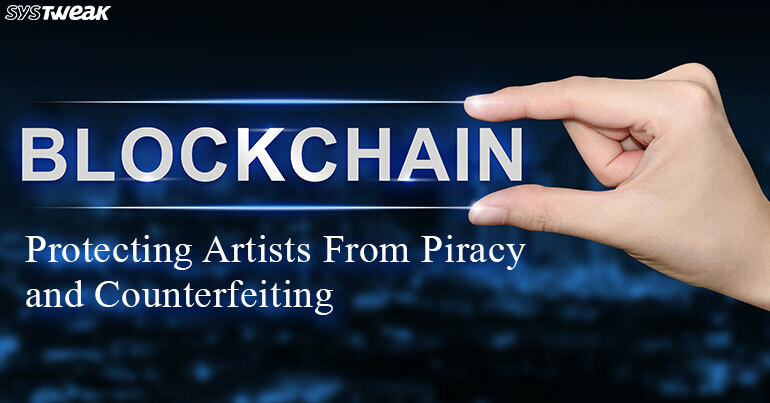 Blockchain is uniting the two as well as securing credibility which has long been denied in the creative field. We hope with time, this technology grows and helps upcoming and struggling artists get their dues that they deserve. Print Spooler Giving Trouble? Here’s How You Can Fix It!